Following the denial, South Dinajpur Bharatiya Janata Party (BJP) leaders and supporters gheraoed the District Magistrate (DM) outside his bungalow in Balurghat for denying permission to Adityanath’s chopper to land at the airport. 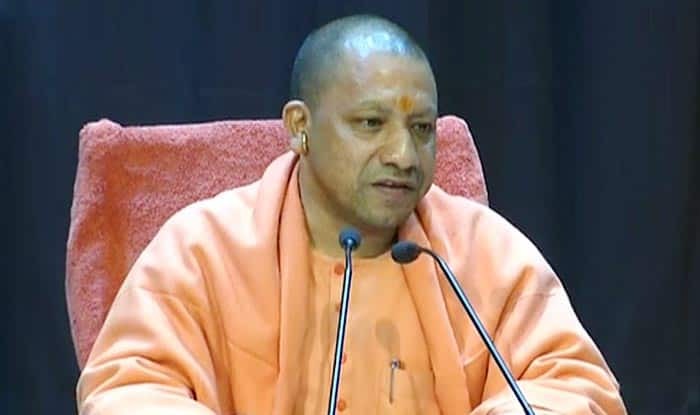 Lucknow: Without any prior notice, the West Bengal government on Sunday denied permission to land Uttar Pradesh Chief Minister Yogi Adityanath’s chopper Balurghat. The UP CM’s chopper was to land at Balurghat in North Dinajpur near Malda, where he was to scheduled to address a rally at 10:30 AM. If reports are to be believed, CM Yogi’s chopper will now land at Raigunj, travel to Balurghat by road. Later he will return to Raigunj to address his second public meeting. Following the denial, South Dinajpur Bharatiya Janata Party (BJP) leaders and supporters gheraoed the District Magistrate (DM) outside his bungalow in Balurghat. BJP claimed that DM is neither cooperating nor stating a reason for the decision. Questioning the undemocratic behaviour of the state government, West Bengal BJP leader Mukul Roy said he was unable to understand the reason behind denying permission. “Ultimately, BJP will get permission at Balurghat. There is a regular airport at Balurghat. What is the harm of giving permission to land helicopter on that regular helipad? So, it is an absolutely undemocratic attitude of the govt of West Bengal,” Roy said. The rallies were a part of the BJP’s plan of organising up to 200 public meetings in the state by February 8 to boost its electoral prospects ahead of the upcoming Lok Sabha polls. Apart from Adityanath, Union Ministers Rajnath Singh, Smriti Irani and Dharmendra Pradhan and former Madhya Pradesh chief minister Shivraj Singh Chouhan will be addressing the party’s rallies in the state. Earlier, BJP chief Amit Shah’s chopper was not given permission to land at the Malda airport in West Bengal. On Saturday, Prime Minister Narendra Modi who kickstarted BJP’s poll rally in West Bengal took a jibe a TMC supremo and Chief Minister Mamata Banerjee stating that he now understood why the CM had to resort to violence in the state. “Now I can understand why Didi (Banerjee) and her party are indulging in violence…killing innocent people. She has become jittery because of your love for us. Thank you for turning out in large number,” the Prime Minister had asserted.